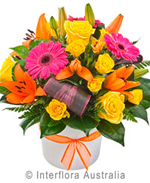 This is the Find Me Flowers website. 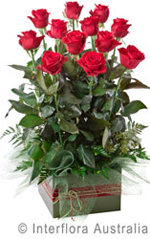 It is designed to allow you to find a florist in your area, and help you buy the flowers you are looking for. 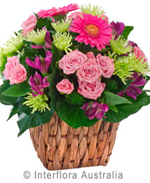 A while ago we were trying to contact a particular florist in another city to order some flowers for delivery. We had terrible trouble finding their details on the internet and thought it should be easier than that. 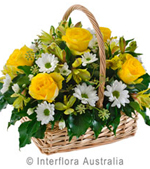 We decided to make a website with every florist in Australia on it, so that finding a florist in a particular area would be easier. 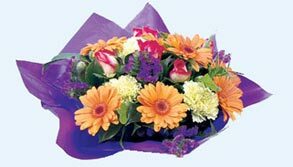 Making this website also gives us exposure to the florist industry. We're professional Internet Marketers, so we are very, very good at getting websites performing well. Is your website bringing you the customers you want it to? 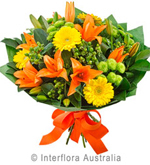 Contact us - we'll soon have your website performing as well as Find Me Flowers! Noticed your Florist Business on this site? We are affiliated with most wire wervices. If we know what wire services you accept orders from, and we have an affiliation with that wire service, then we will do our best to ensure that only ads from that wire service are shown on the listing for your business, increasing the probability of a flower order against your listing going through to your business. Images from these wire services are used with their permission. Your privacy is important to us. The following discloses the information gathering and dissemination practices for this Web site. You are authorised to use this site as an individual user. Unattended programs (bots, agents, etc) must obey the strictures defined in the robots.txt file in the root directory. Bulk copying and reproduction of the information and content found on this site without explicit written permission is specifically prohibited. If we feel a visit is downloading a number of pages that is against the spirit of these terms, we may block the visitor to this site for a time. All trademarks not owned by findmeflowers.com.au that appear on this site are the property of their respective owners, who may or may not be affiliated with, connected to, or sponsored by findmeflowers.com.au.